Where do you to go find your news? 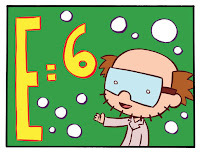 The internet? Television? Or do you just live in an enclosed bubble of day to day life? Hearteningly, despite the growth of broadband, mobile phone internet access and web journalism, it still seems that the local rag is often the first place where many of us find out about the issues that effect us, with 40 million adults in the UK reading a daily or weekly newspaper. Newspapers still perform a vital function, scrutinising the local council, holding the police and NHS to account and making sure that justice is seen to be done through coverage of court cases. The local paper can act as a unifying force, from publishing sport results, births, marriages and deaths and classified ads to running campaigns - for, example, the MEN’s current campaign to return money to the Christie Hospital lost in an Icelandic bank. Over five decades ago, one local paper, the Wakefield Express commissioned director Lindsay Anderson to make a film to celebrate its centenary, resulting in the wonderful documentary Wakefield Express: The Portrait of a Newspaper. Lasting just over thirty minutes, it offers a snapshot of Wakefield life, and the city’s expansion, which it was there to record at every moment - as the narrator notes proudly, ‘the Express has grown with Wakefield’. Opening with the lines ‘The backbone of a local weekly news paper is the kind of news you get just by speaking to people - you can never really tell when you may uncover a story... in a little town, the newspaper man has to know pretty well everyone’, the film places the Wakefield Express squarely in the centre of the community. We’re told ‘the reporter’s pencil is always there, recording the varied display of the region’s way of life’. The film also shows the steps that go into the finished product, through rows of typewriters and subeditors to the traditional rotary printing method. Wakefield Express was rescreened in Wakefield in April as part of a protest against plans to move the Wakefield offices - based in the centre of town - to a location on the outskirts of the city, thus removing the newspaper from its rightful place at the centre of Wakefield life. The film’s depictions of hot lead and galleys, linotype and mangles seem anachronistic now, but even more worryingly, the notion of the weekly newspaper itself could soon become obsolete. The National Newspaper Society reported that last year 60 out of 1,300 regional newspapers closed, and those that remain are scaling back staff. It’s happening all over the country, including Manchester, which, as birthplace of the Manchester Guardian, was once referred to as the 'Fleet Street of the North'. In March, the Guardian Media Group, owned by the Scott Trust, of which the Manchester Evening News group is a part, announced that 150 staff across the Greater Manchester newspapers, including 78 journalists, were to lose their jobs. This would be accompanied by the closure of all regional offices, with their remaining staff relocated to Deansgate, where the regional weeklies will be written and designed by a pool of journalists. The Manchester Evening News is the UK’s biggest regional newspaper, operating 22 titles across Greater Manchester, stretching from Cheshire (Wilmslow and Stockport) and Derbyshire (Glossop) to Accrington and Rossendale in Lancashire. The MEN chapel and Manchester branch of the National Union of Journalists took out a full page advert in the Guardian to protest the cuts, and managed to reduce the redundancies, although 28 journalists from the MEN will still lose their jobs and there were 36 voluntary redundancies at the weeklies. They point out that, for many years, the MEN has proved profitable, unlike its loss-making mother paper. GMG Regional CEO Mark Dobson said the cuts were necessary, as the Guardian’s revenue from regional media fell by 85 per cent between 2007 and 2008, even though the NUJ claim the MEN Group is still expected to make a profit of £2million this year. Local MPs and councillors are also worried about the loss of a vital part of the democratic process. Mark Hunter, Cheadle MP, passed an Early Day Motion against the cuts, signed by over 40 MPs. There are calls for the government to intervene, and culture secretary Andy Burnham has promised a review of what can be done to help. In a Parliamentary debate on the future of regional news, the Parliamentary Under-Secretary of State for Culture, Media and Sport Barbara Follett said newspapers are “at the heart of the democratic process” and “the soul of local communities”. This is echoed by the National Union of Journalists. Jenny Lennox, of the Manchester branch, said: "We believe that you can't do good quality local journalism unless it's physically based in the area in which it serves. With the staff cuts, it will also be harder for journalists covering somewhere like Accrington or Macclesfield to get out of the Manchester office and travel to those areas." Part of the problem, ironically, is that newspapers are increasingly coming under threat from publications produced by local government, which are in direct competition with local newspapers. In addition, the public often expects to receive its news for free, whether through citizen blogs or in freesheets. Traditionally, newspapers have been funded by advertising, yet this has been hit doubly hard by the recession and a shift towards online advertising. There’s also been a fundamental shift in the way news is delivered, with reporters nowadays often expected to function as photographers, filmmakers and bloggers as well as print journalists. We might not always agree with a local newspaper, but we’ll miss them when we’re gone. Maybe it’s about time to start buying your local paper from time to time. Amongst all Brooklyn’s current shoe gaze revivalists - Crystal Stilts and the Pains of Being Pure at Heart in particular drowning their songs in feedback and aping the scuzzy guitar sounds of the Jesus and Marychain like it’s 1986 all over again - it’s Vivian Girls who do it with the most style. Part of Vivian Girls’ appeal, especially live, is that they look more like a girl gang having fun together - they watch support act Male Bonding from the front row with enthusiasm, dancing and offering calls of encouragement - than aloof rock band. Vivian Girls are a punk band, in the best sense. Not because they play hard, or fast, or even particularly loud, but because they strip music down to its barest components and play like they don’t care, offering a f*** you to musical proficiency. Songs like Second Date, woo oohing backing vocals lingering long after the song has finished, are the musical equivalent of walking along whistling, hands in pockets. Harmonies are sugar coated, 60s girl group style, but there's always a slight undercurrent of danger. The trio play two note guitar solos, a bass that stalks the guitar and vocal lines almost obsessively and rudimentary, clack clacking drums that attempt to hold it all together. Songs are short and judder to an abrupt halt, as if cut off mid sentence: they build to a gradual climax, say what they’ve got to say and then don’t press the point. There's no profound message hidden in the music. Lyrics are largely indistinguishable; lead singer Cassie Ramone’s (yes, they wear their influences on the sleeve) vocals swim low in the mix as if purposefully fighting a losing battle against a current of reverb. That’s not to say Vivian Girls aren’t exhilarating. Tell the World, a hypnotic, almost monotone chant, surges along in a tunnel of fuzz. Wild Eyes bursts towards the crowd like a tidal wave threatening to swell over the barrier that separates the band from the audience. By the end, swapping instruments, smiling broadly and playing in the crowd, Vivian Girls resemble legendary punk girl group the Shaggs and bring to mind the best of the punk tradition. I’ve long wanted to go inside the North West Film Archive on Chorlton Street, intrigued by what celluloid time capsules of Manchester life lie within. Last night I got a taster, at a special screening of films from the archive at the Cornerhouse. I’ve also long been meaning to write an article about the decline of the local press in relation to a film about one newspaper, the Wakefield Express, that was recently rescreened during protests against moving the Wakefield Express from its city centre site to an out of town location. I’ve wanted to be a reporter for as long as I can remember, and finished my news writing training at the end of January, only to enter an industry in decline, every week bringing news of more and more redundancies on weekly and daily newspapers. It was during my adventures in the film section of Central Library on an early day of unemployment that I discovered what is probably my new favourite film - Wakefield Express: Portrait of a Newspaper, directed by Lindsay Anderson in 1952. Imagine my delight when last night I discovered that Manchester has its own version, produced by the Guardian in 1960. News Story is a short documentary film that explains the function of the paper - ‘to inform and entertain through news, comment and opinion’ - as well as how it was made (these were the days of Linotype and hot lead). Lasting only twenty minutes, the film goes behind the scenes at the offices of the Manchester Evening News and Guardian, four years before the Guardian moved to London. It’s a portrait of the Manchester Guardian, tracing the history of the paper, from its formation in 1821, following the Peterloo Massacre, through its famous editor CP Scott to its status an international paper sending news, via Manchester, to cities all over Europe, from Vienna to Milan. The film visits each section of the newspaper in turn, including the editor and subeditors. We meet the writers on the international news desk, where we hear about floods in India, and local reporters interviewing strikers, as well as being introduced to the sports desk, cartoon section and features writers. Reporters call in stories from telephone boxes and copy is sent around the country by wire machine before the paper makes its journey across the United Kingdom by train. All the films shown were fascinating, including a behind the scenes look at Manchester City in the days long before football was the big business it has become today. My other favourite, though, was Late Hope Street, from 1968, a grainy black and white film - ‘deliberately arty’ according to the man who introduced it - showing the regeneration of Hulme and Moss Side, and the slum clearance of whole areas of terraced housing. The man warned us that it would be accompanied by pathos inducing music, and sad strings led us to sympathise with the narrator, a lady who was refusing to leave her home amongst boarded up shells and bulldozers. She spoke of the pride the people around her had in their houses, and clearly couldn’t understand why the council was trying to get rid of her home. Against shots of people carrying front doors on their backs over heaps of rubble where streets once stood and children removing salvageable furniture through front windows, she told us ‘all we wanted was a bathroom and an indoor toilet’. She spoke of communities split up and flung across the city, often miles from each other. Our Friends the Police was more lighthearted, showing an almost unrecognisable Manchester of flat caps and cobblestones, horses and carts and double decker trams, adverts for Bovril everywhere. We were shown some propaganda films too, from a fundraising film for Manchester Society for the Blind, humorous for its outdated attitudes, to Summer on the Farm, a wartime drive to get people working out in the fields that emphasised the interdependence between city and country. A City Speaks, from 1946, was the most exhilarating, a council produced film that set the rollercoasters of Belle Vue, speeding over the city, a wrestling bout and a football match against the Halle Orchestra playing Wagner’s Ride of the Valkyries. One of the few colour films showed a 1970s Piccadilly Gardens as a riot of flowers in the sunshine - very different to how it is today! Smithfield Market, similarly, showed the activity of the now boarded up, deserted market on Swan Street in the days when it was a thriving place in which to buy flowers, meat and vegetables. There was lots of architecture on display, including an unrecognisable Market Street, and landmark events like King George opening Central Library and laying the foundation stone of the Town Hall extension, but as ever it was the shots of ordinary people and day to day life that I liked best. Once, sounds used to fly around Victoria Baths, filling out its huge space and soaring right up to its prism roof - from the laughter of children to the roaring excitement of swimming galas. 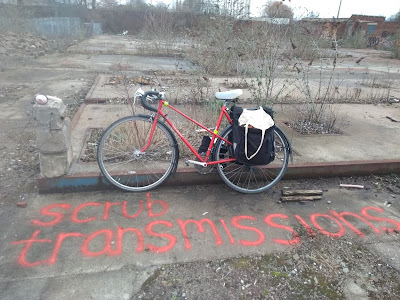 Lying derelict and empty since 1993, now it’s more often overhung by a vast, thick hum of silence. This weekend, the pool will sing again, with far creepier sounds. Experimental but beautiful, they’re unlikely to be like anything you, let alone the baths, has ever heard before. You Who Will Emerge from the Flood, which is billed as the world’s first underwater opera, is the most exciting event in this year’s Queer Up North programme. The festival invited Los Angeles based opera singer Juliana Snapper, who has been pioneering a method of underwater swimming during performances in Ljubljana and at the Metropolitan Museum of Art in New York, to rise to the unique challenge of staging an opera in Victoria Baths. Snapper has performed miniatures of the opera in dunk tanks in galleries and theatres, but Manchester will be treated to the full story. The Baths will be perfect. To start with, the largest pool, the First Class Males Pool where the performance will take place, had to be filled with water again especially for the occasion. You Who Will Emerge is set in a watery, post-apocalypse wasteland and is based around the character of aquatic creature Blorkra, played by Snapper, who is the sole survivor. Victoria Baths itself is in a strange limbo between deserted museum piece and being restored to some kind of use. There’s an intense atmosphere in the building which will perfectly complement Snapper’s performance. Submerged underwater with an oxygen tank and projected onto screens by video cameras, for Snapper underwater singing is as much an endurance test as the acrobatic feats of sporting disciplines. You Who Will Emerge is based on a line from a poem inspired by Dante’s Inferno, 'I want to die collectively'. 'Brave' volunteers from the public will comprise the chorus, based around the edges of the pool, playing the ghosts of Blorkra’s earthly predecessors. Snapper elaborates: “The opera explores what it’s like to listen to other people.” Thrown together four days before the performance, most of the choir are not experienced singers, but will create a soundscape of different textures through the interaction between their voices, part scripted and part improvised, after just three rehearsals. Snapper had a bohemian childhood, growing up just outside Berkeley in California with her opera singer mother. Opera has always been part of her life. She explains: “I spent my misspent youth studying opera mad then sneaking out of the house to play opera”. Snapper admits “I’m an opera whore, I’ll go and see anything - there’s something wonderful about the spectacle of it”, but it was whilst studying at the Oberlin Conservatory she realised traditional forms of opera are too confining. “I rebelled against the conservatory. The machinery of the opera industry made me feel sad. It was all about creating products and I was not a good product at the time”, she admits. It’s this merging of disciplines that characterises Snapper’s work. In the past, Snapper, who is completing a PHD in Musicology, has worked closely with the performance artist Ron Athey. She confides that “artists are generally a lot more fun and curious than musicians”. You Who Will Emerge will feature animated videos and the music of the composer Anthony Infanti, as well as ballet by dancers in flesh coloured wetsuits inspired by the 'wedding cake' style choreography of Busby Berkeley, although Snapper describes it as “my first real solo project”. Snapper describes herself as ‘a punk and a feminist and a queer’, which she says helps create the meaning of the opera. She is fascinated by the history of Victoria Baths: “I love the generosity of the baths as a public institution, and I'm interested in the way it was so hierarchical. You Who Will Emerge will certainly be an intimate and exhilarating performance for those who are lucky enough to watch from the Bath's galleries, seeing the pool beneath come to life once more. You Who Will Emerge, Victoria Baths, Hathersage Road, Sunday May 17, 8.30 - 9.15 pm. One of the casualties of the credit crunch has been charity shops, which have reported a fall in donations as we choose instead to get by with what we’ve already got, to ‘make do and mend’. This means a move away from our throwaway, disposable, consumerist culture, in which clothes are bought and rendered unfashionable again as quickly as turning the pages in a fashion magazine. Most of us have unwanted clothes at the back of our wardrobes, which outgrew their purpose, or unworn items bought on an impulse or by mistake. It might seem like a shame to take these to a charity shop, the equivalent of money down the drain. If this is the case, or you’re just a bit bored of the clothes you own and they’re still in a wearable state, a swap shop could be for you, allowing the chance to swap your clothes for someone else’s, and the opportunity to breathe new life into your wardrobe without spending a penny. Inspired by a similar event at the 8th Day Café on Oxford Road, enthusiastic volunteers from the Manchester charity Action for Sustainable Living set up the SUST Swap shop at St Bride’s church in Old Trafford in November 2008. The swap on Monday 18 will be the third event. For those who enjoy a browse but feel priced out of charity shops, which have become increasingly expensive - it’s hard to find even a simple t-shirt for under £2 now (the price of a new t-shirt in Primark), with the going rate more like £4 - you can pay £1 without having to donate any items, and still take away as many garments as you want. Call it vintage without the extortionate prices, shabby chic, or even just recycling, you never know what you’ll find - as the old saying goes, “One man’s junk is another man’s treasure". Louise says the clothes tend to be donated by younger people than often give to charity shops, with a clientele based around students and people in their mid twenties. The organisers invite donations of men’s, women’s and children’s clothes, shoes and accessories such as scarves and belts - although not underwear. If you donate three items or more, you can take as many items as you like in return. With prices like that - if you go home and realise the garment doesn’t fit, or you decide don’t like the item after all - you can’t go far wrong, and could even swap again at the next event. Part car boot sale, part old fashioned church rummage sale, the swap shop will also be a chance to mingle and meet people living in the local area. Past events have attracted up to thirty people, including fashion students looking for material and clothes to alter. Some have become regulars. Charity shops are also reportedly seeing a decline in donations because of the rise of eBay, and the expectation that you can make money from your old possessions. On top of that, there’s the excitement of making a ‘find’ in amongst the jumble of a tabletop sale. The most unusual item donated last time was an old Stagecoach bus driver’s uniform, complete with shirt and fleece, although Louise says swap shops are also ideal for finding plain tshirts, dresses and jumpers. Louise warns that party dresses and summer dresses that still look new always go quickly, and finding bargains often depends on how long you stay, as more items are brought along throughout the night. Buying secondhand clothes is often a far more personal way to shop - there’s something nice about giving a new life to an old dress, moulding a much worn jumper to your life, introducing a ‘new-to-me’ cardigan to your wardrobe and working it into existing outfits or wearing something that has already been ‘worn in’. Each event needs around seven volunteers, and Louise says the swap shop offers an ideal opportunity for anyone who wants to volunteer but who can’t commit much time, as it only involves helping out one evening every two months. An added bonus is that volunteers get first pick of the donations. Louise hopes to organise similar swapshops based on other goods such as DVDs, games and books in the future. Far from having to sing He’s Got the Whole World in His Hands in school assemblies, a whole new generation is being brought up in the right direction by increasingly imaginative children’s songs. Nowadays, they get them early - The Shins, Wilco and Motorhead all appear on the Spongebob Squarepants movie soundtrack, and Dressy Bessy, Devo and Frank Black (of all people!) feature in Powerpuff Girls. Robert Schneider, front man of cult American indie band the Apples in Stereo, is no stranger to children’s music, having composed songs for Powerpuff Girls and the Adventures of Pete and Pete as well as lending an Apples in Stereo song to the Spongebob soundtrack. From the mid 90s, The Apples in Stereo have been part of the Elephant 6 collective of bands such as Neutral Milk Hotel, Of Montreal, Elf Power and the Olivia Tremor Control, who are known for marrying inventiveness and sonic experimentation to the classic pop sound of bands like the Beatles. Schneider certainly knows how to write a catchy hook, which is why so many Apples in Stereo songs are used in adverts. 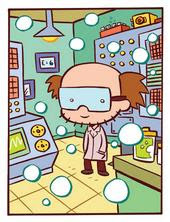 Now, with Robbert Bobbert & the Bubble Machine, he’s been reinvented as a ‘mad professor’ of pop - a Phil Spector for the pre-teens - on the soundtrack to a forthcoming children’s TV series, introducing characters like The Little Duck in polka dot pyjamas and the stomping Mighty Mighty Elephant. 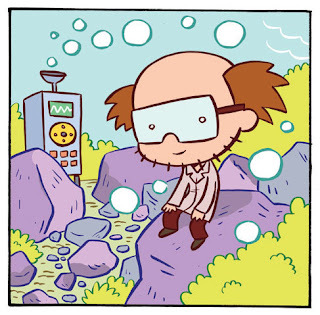 Like children’s meals, Robbert Bobbert & the Bubble Machine offers a mini dose of the full Apples in Stereo experience. The album packs all the necessary goodness into manageable portions, none of the tracks lasting much over two minutes in consideration of children’s attentions spans. We R Superheroes, for example, is essentially an Apples in Stereo song, inspired by the same Beach Boys harmonies that characterise their summer pop. All the squelchy synths and sound effects you’d expect are there, including the boing-boing of a ball on Gravity, but Robbert Bobbert & the Bubble Machine stays just the right side of cute. Only on Fee Fi Fo, Fee Fo Fum, a faux rap, does the album hit a wrong note. It’s easy to imagine a pre-school singalong: on Gravity, echoing backing vocals and simple rising melodies explore seasons and the planets. The sleigh bells and wistful female backing vocals of I Love the Animals gently warn against “filling up with hate”, and the album's highlight, Laughing, celebrates the joys of having “found me a friend” over a classic rock riff. Robbert Bobbert & the Bubble Machine also functions as a beginner’s guide to American popular music: Hey Little Puppy is a brilliant pastiche of teenage rock n roll that condenses the sounds of the West Coast into just under two minutes. Schneider sings “Hey little puppy, do you wanna come home with me?” over a driving, chug chug guitar rhythm and clamouring surf guitar. The album swells to its conclusion with the lovely lullaby The Tiny Sheep, which isn’t far removed from The Magnetic Fields’ more contemplative moments. Tremolo picking gently buoys Tiny Sheep over a sea of silvery synthesisers like sails sending a great ship slowly into the calm sea of sleep. 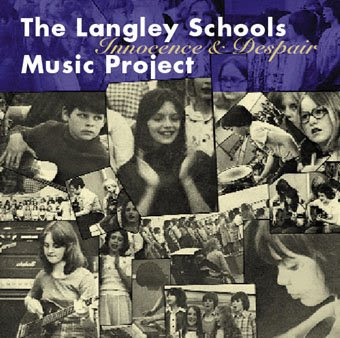 Innocence & Despair is a children’s album in that it was performed by rural Canadian schoolchildren, but its appeal and reach far outweighs that of mere children’s music. Robbert Bobbert & the Bubble Machine is children’s music pure and simple, written for children and based around children’s concerns, redolent of the golden days of childhood. Innocence & Despair, on the other hand, has become an enduring cult classic since it was rereleased on CD in 2001, after initially being intended for the ears only of friends and family of the children involved. 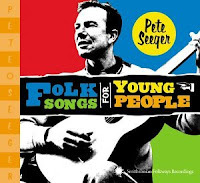 Made in a school gymnasium between 1976 - 1977 under the supervision of teacher Hans Fenger, a choir of 60 children reinterpret popular hits - with an emphasis on those of the Beach Boys - accompanied by guitar and bass, basic percussion, gamelan instruments, xylophone, bells and chimes. The album is pervaded by a sense of melancholy and eeriness - particularly during its take on David Bowie’s A Space Oddity, which is overhung by otherworldly sound effects and a creepy bassline - brought about by school days that go by too fast. The choir of childen, singing all at once, still sound lonely - in that gymnasium, they’re as far away from the outside world as Major Tom on his spaceship. The songs are sparse, reduced down to their bare essence, and it's because of that I prefer these versions to many of the originals - especially A Space Oddity, which is far more interesting than Bowie’s staid performance. If there’s a wrong note or something falls out of time it doesn’t matter in the overall scheme of things - life is like that - it has its blips and ups and downs. Here, the children sing about adult concerns with a world weariness and jadedness that’s beyond their years - from one night stands to the bittersweet love affairs of the Beach Boys’ God Only Knows (read Laura Barton's article about this song from the Guardian Film & Music section), which is sung with resignedness at the end of the phrases like a musical turning down of the mouth. The children sing with great conviction, crescendoing in and out of the music, breathing life into the real emotions and real life experiences they're still on the cusp of experiencing, that they’re going to find out about sooner or later. There is despair in the record, but also a purity and it’s a remarkable triumph. They’re not musicians, but you want the children to succeed - when they scramble to hit the high notes on a version of Paul McCartney’s Band on the Run, you really feel their achievement. Innocence & Despair is exhilarating and desperate, ramshackle as if it’s about to fall apart any second. A reinterpretation of You’re So Good To Me by the Beach Boys is almost earthshaking - you can imagine a performance rattling the school gym as much as the physical activity for which it was originally intended. The record leaves the listener with a sense of hope that transcends the time and place in which it was made, though; Innocence & Despair is underpinned by a robust heart, and a clomping, footstamping beat, from the whistling abandon of I’m Into Something Good and scattered handclaps and cheerleader esque chanting of Saturday Night by the Bay City Rollers to the cymbal crashes of I Get Around by the Beach Boys. The grandfather of American protest music teaches the origins of the country’s folk traditions - including sailor, cowboy and factory songs - claiming ‘the songs of ordinary people like you or me are better than a whole shelf full of history books’. Gentle melodies belie the darker side of American history, from poverty to slavery. 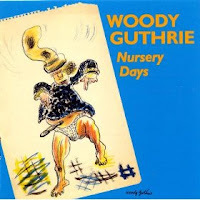 He wrote scores of children’s songs during his career, but it’s Riding in My Car, which appears on Nursery Days (or, Songs to Grow On), for which Guthrie is possibly most loved. The skipping rhythm and Guthrie’s brr brr engine and yodelling horn impressions imitate a car better than any other record, children’s or otherwise.